In his new role, Nowacky will manage the development team and oversee all aspects of software development, from planning to execution. development team and is responsible for overseeing all aspects of software and feature development, from planning to execution. His main goal is to develop products that will add value to Z57’s offering and clientele and will drive bottom line revenue for the company. Nowacky is a Senior Technologist with over 10 years of experience in the tech industry and a bachelor’s degree from Florida Atlantic University. Throughout his career, Nowacky has become well versed in road mapping new features, profit-and-loss management and website development. He recently held a position as Technology Director at Competitor Group, Inc. , where he served as a technology liaison. In that role, Nowacky was responsible for coordinating and managing multiple aspects of technology-related functions, including mergers and acquisitions, evaluations of new software, and product launches. Nowacky has a history of being a driving force in restructuring and adding value to products and procedures. His ability to identify areas for improvement, as well as his technical knowledge and impressive results achieved in past projects make him an ideal fit for the role of Software Director at Z57, Inc.
About Z57 Inc.Founded in 1998 and based in San Diego, Z57, Inc. is an Internet marketing company for real estate professionals. 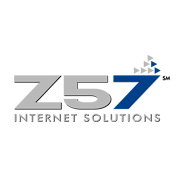 Z57 specializes in providing complete marketing solutions, including optimized websites, lead capture tools and Internet marketing training through Z57 Academy. Recognized as San Diego's No. 1 Web Development and Design Company for 10 consecutive years, Z57 provides thousands of clients with proven solutions and personal service.